Signs that it is coming home? 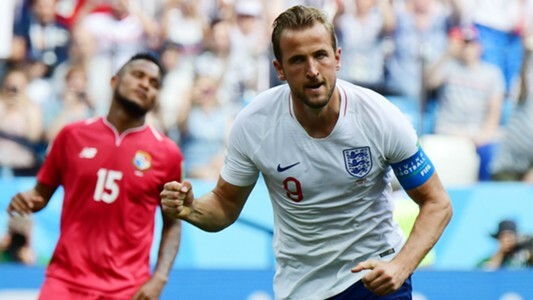 Captain Paul September 18, 2018 FOOTBALL, NEWS, NON-PREMIER LEAGUETagged Englan news, England, England newsnow, World Cup, World Cup news, World Cup newsnowLeave a Comment on Signs that it is coming home? 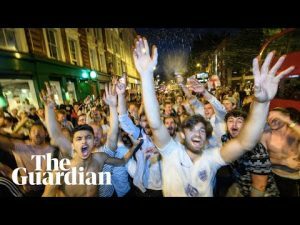 England continue to march on in Russia with belief growing among fans that this is the year that we finally win the World Cup again. There are also several coincidences and signs that also back up our claims of success in Russia. Pep is one of the most successful managers in the world who seems to always get the best out of his players. In 2010 the World Cup was won by Spain when he led Barcelona to a La Liga title victory. He then followed suit four years later as he managed Bayern Munich to a Bundesliga victory and then Germany lifted the World Cup trophy. 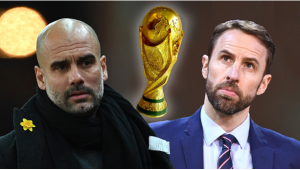 Pep as we all know led Manchester City to a dominant league victory in the 2017/18 season, so this means England will win the World Cup… Surely? The stats do not lie, we are World Cup winners in waiting with the World Cup 2018 odds now making us just 4/1. Prior to our stunning 4-3 victory over Colombia in the shootout we had not won a penalty shootout at a major tournament since 1996 and never at a World Cup. I think we are all more than aware that we have been close to being a laughing stock when it comes to the penalty hoodoo but that is now over. This result is huge for the confidence of the side and with Kane continuing to hit the back of the net we are set to go all the way and finally follow in the footsteps of the 1966 winning team. I think our captain was more than happy with the result. How many times have we had to go through the agony of defeat at the hands of Germany at a major tournament? In 2010 we were knocked out in the last 16 following a 4-1 defeat. They also defeated us via the dreaded penalty shootout at the 1990 World Cup and again at Euro 1996. West Germany also got the better of us at the 1970 World Cup however, we did beat the same team four years earlier in the World Cup final in 1966. With Germany sent home following the defeat to South Korea we do not have them to fear. This is another reason why we will be victorious in Russia, with many World Cup betting tips now on us to go all the way. It is time to get excited as history is firmly in the process of repeating itself. Back in 1966 Real Madrid landed their sixth European Cup and this year they landed their 3rd Champions League in a row and 13th in total. In 1966 Chelsea finished 5th in the First Division behind run away winners Liverpool. This year this performance followed suit as Chelsea struggled throughout their title defence finishing 5th and out of the Champions League places for the second time in three seasons. In 1966, Burnley qualified for the Inter-Cities Fairs Cup in which they reached the quarter final where they were defeated by German side Eintracht Frankfurt 3-2 on aggregate over the two legs. This year, following a monumental Premier League campaign, Burnley finished in 7th place in the league meaning they have qualified for the Europa League. Manchester City landed the Football League Second Division in 1966 and as we all know, won the Premier League title this year following a record-breaking campaign. This included gaining 100 points and scoring a remarkable total of 106 goals. England win the World Cup England win the World Cup? England landed the memorable 1966 World Cup victory on home soil beating West Germany in extra time by 4 goals to 2. Will England win the World Cup in Russia? We hope so. Come on England! We may be seeing similar scenes as below for some time to come if we do. What do you think? Leave your comments below.